Valentine’s Day is not the only day to savor Florida fresh strawberries. Feb. 27 is National Strawberry Day. The juicy berry contributes $360-million-a-year to the state’s economy. A new variety of the berry is in the early stages of development. “Florida Beauty” is a collaboration between University of Florida Institute of Food and Agricultural Sciences researchers and an Australian scientist. Seven different Florida growers are testing the new variety this season across 400 acres. “Florida Beauty” can be planted earlier and produces fruit more quickly. 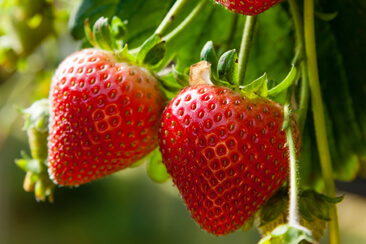 Florida strawberries are the first fruits to ripen each year. Not only do they taste delicious, but they contain vitamins, antioxidants and fiber. For more information, click here.